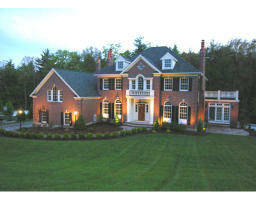 The most expensive home for sale in Andover, MA listed on the MLS as of December 5, 2007 was a yet-to-be-built 13-room colonial featuring more than 5,000 square feet, 4.5 bathrooms, a five-car garage and nearly two acres. This custom-built, new construction home was listed at $3.075 million. The lot is near Phillips Academy. As of December 5, 2007, the home had been on the market for 131 days without a price change. That isn't unusual for new construction. That house really looks like expensive and also I like its features. Wish that the price can be negotiable. Thanks! Fabulous home and its amenities! The amenities and facilities of home would surely make this home most expensive home. I like its pictures. Thanks for sharing such a nice stuff. I can't blame them if that was too expensive. Its worth the price then, look at it so gorgeous and big. You can surely love the house if you see it personally, very worth it. It is worth the price. Its more appealing to see if there are pictures posted from the rooms, kitchen, toilets and other parts of the property. Hmmm.. I think that was too expensive to live for. I wish I won in a lottery, so that I can buy it. Hahaha.. just kidding. Thanks for sharing Rich.